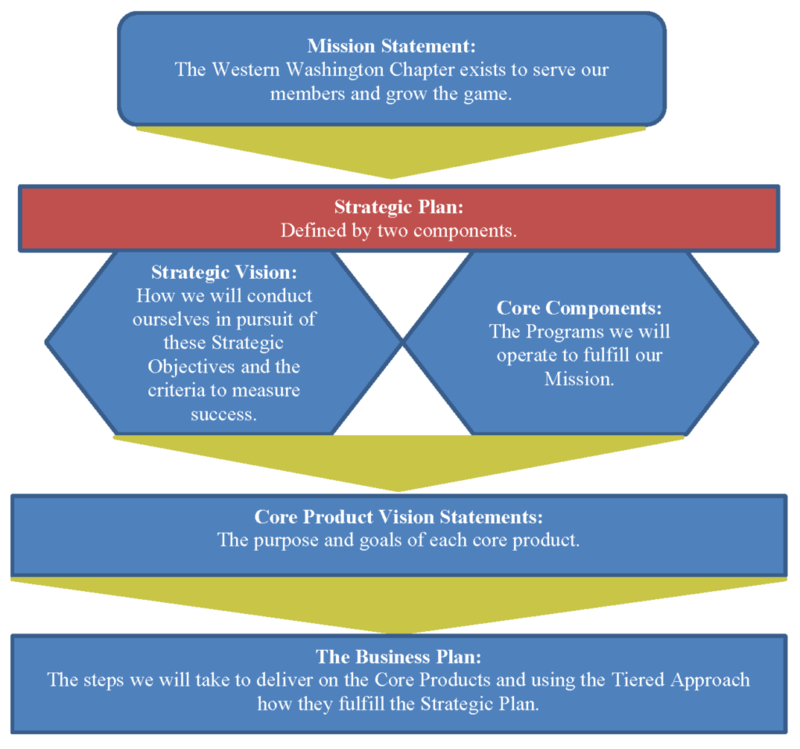 To serve our members and grow the game, the Western Washington Chapter developed a Strategic Plan to guide leaders and staff in the development and implementation of programs and services. The Strategic Plan will guide future leaders in evaluating new opportunities, guide the relationship with both Section and National programs and services and guide the staff in the development of an annual Business Plan. The Strategic Plan will employ the principles in the Strategic Vision to deliver the Core Components as we serve the members and grow the game. Each Core Component is presented with a specific vision as well as a discussion of the specific deliverables. Finally, five tiers of evaluation are presented to focus the evaluation of achieving individual deliverables.